So we put a donate thing on the site and we really didn’t think anyone would give anything, and then a few people gave, and then a few more people gave, and then we started to feel guilty because we never expected anyone to give. (Not because our listeners are tight arses, but because no one ever really gave us anything). So Nick’s wife (who is really good at making stuff) made us a bunch of Sweetest Plum tea towels to send out to anyone who donated (which we haven’t done yet, but we’re about to do very soon), and now we have a few left over. So we’ve decided that anyone who donates 20 bucks or more by the end of July gets a tea towel. Plus we’ll through in a Big Boy Postcard with a personalised message from us on the back. If that sounds good, then click here. “But what if I’ve already donated you pair of arseholes?” Then of course we’ll send you a tea towel and postcard. “But how do you know my address?” Don’t worry, we know where you live. And if you keep sending abusive messages, we’ll send around a couple of big boys to sort you out. 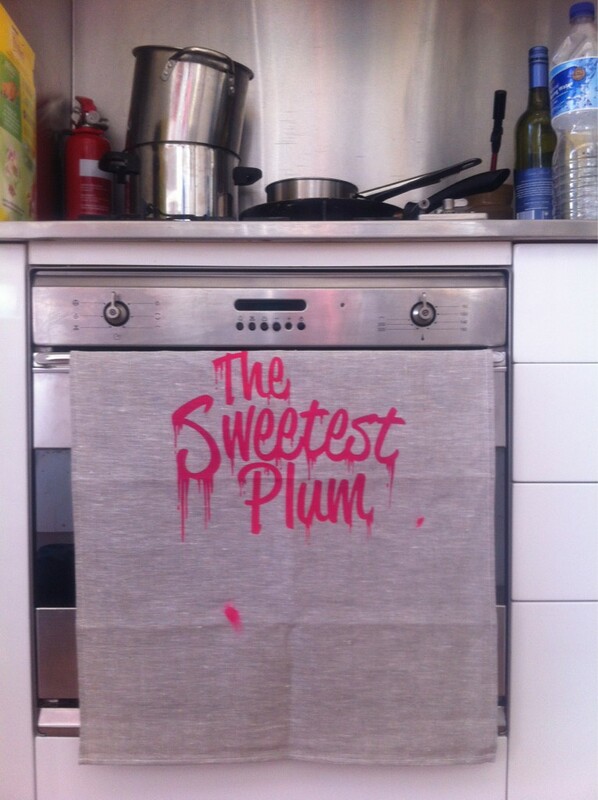 The Sweetest Plum Tea Towel! Stick it in your Teeth! 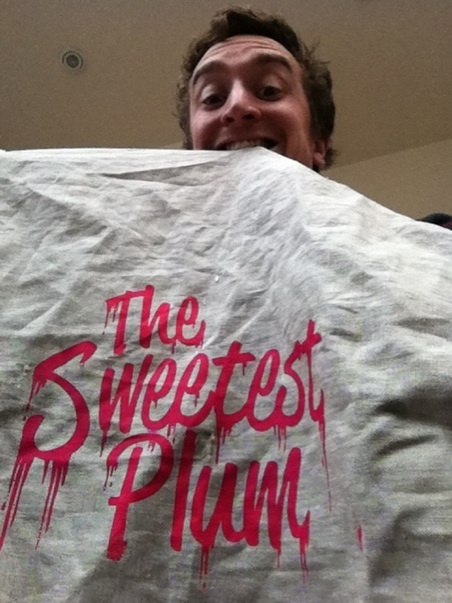 The Sweetest Plum Tea Towel! Hang it on your Oven! The Big Boy Postcard! Not actually able to be posted! We don’t really make a profit out of this, so the money goes back into the podcast, like buying better microphones (you may have noticed the episodes no longer sound like they were recorded in a drainpipe at the bottom of the ocean), or slighter stronger medication. And in case you missed it before and can’t be arsed scrolling back up, then here’s the damn donate button again. Give us a few weeks to send the stuff out (and a bit longer if you live overseas), but we promise we will.